climate change – One Billion Hungry: Can We Feed the World? 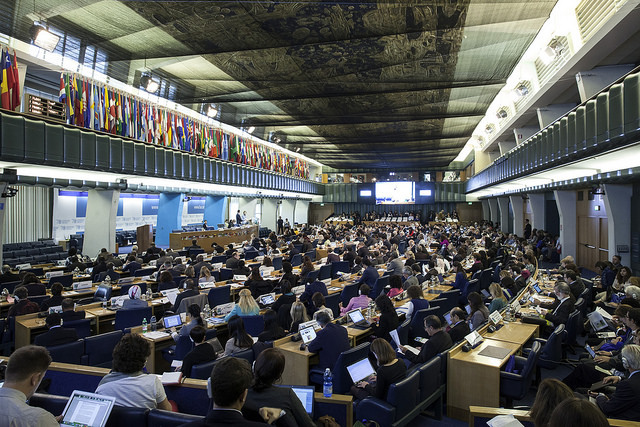 Last week, delegates from over 100 countries, civil society organizations and the private sector convened in Rome for the 42nd meeting of the Committee on World Food Security (CFS). 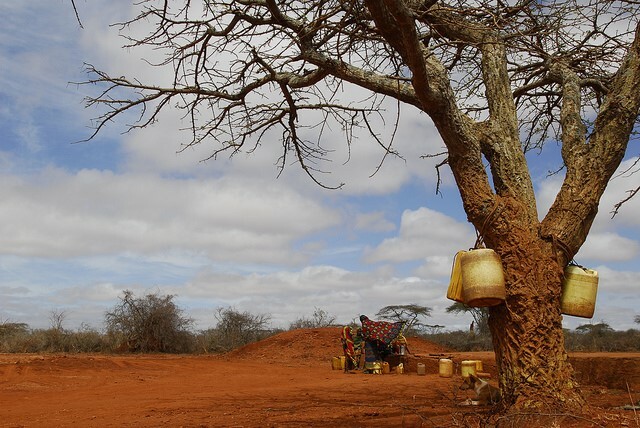 In light of the 2015 development agenda dominated by the adoption of the new Sustainable Development Goals (SDGs) and the international climate negotiations taking place in early December, this year’s CFS focused on the cross-cutting theme of food and nutrition security. In her keynote address, Mary Robinson used the sinking of the Titanic as a metaphor for the oncoming food crisis; when the ship sinks it will not only be those in steerage who drown. What she meant was that we should all show interest in nutrition and food security, because it will affect rich countries as much as it will affect poorer, developing ones. 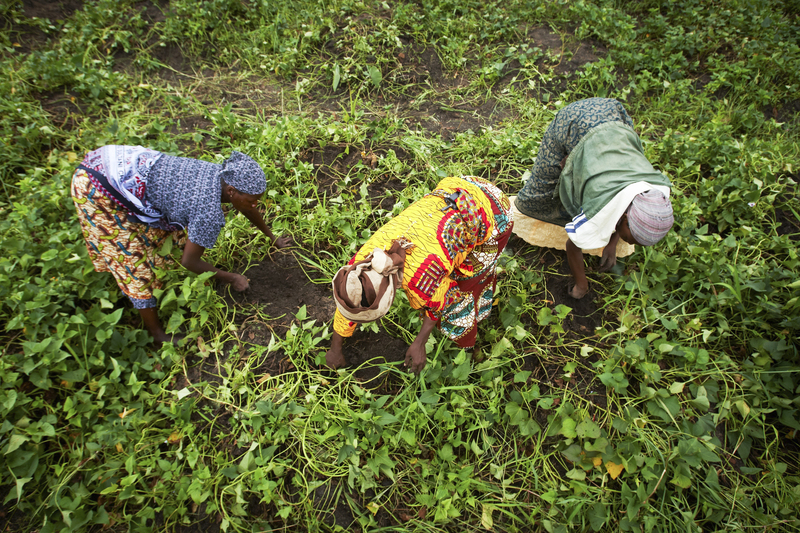 Over- and under-nutrition currently affects 1 in 4 people in Africa, a worrying statistic that has repercussions far beyond the shores of the continent. 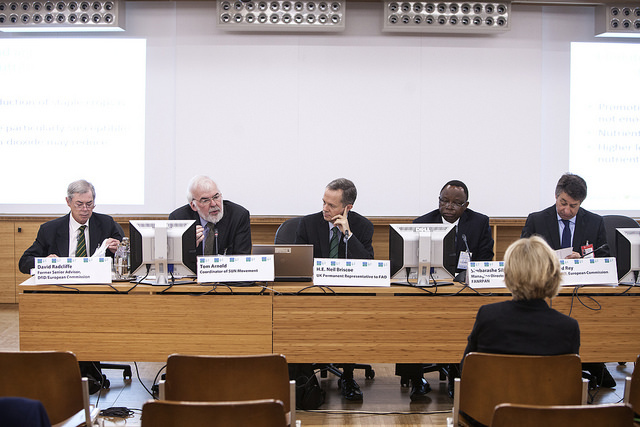 With just a couple of months left till the world’s leaders gather in Paris to agree on a new international climate change agreement, the Montpellier Panel launched a report last week addressing some of the key challenges we face in helping smallholder farmers become more resilient in the face of climate change.“The Farms of Change: African Smallholders Responding to an Uncertain Climate Future” also argues that smallholders can be the drivers for steering Africa towards low-carbon development pathways – provided they are given the right support and incentives to do so.